Nikola joined Watsi on March 12th, 2013. Four years ago, Nikola became the 807th member to automatically support a new Watsi patient every month. Since then, 4,299 more people have become monthly donors! Nikola's most recent donation traveled 3,400 miles to support Lekishon, a baby from Kenya, to fund brain surgery. Nikola has funded healthcare for 56 patients in 12 countries. Shama is a toddler from Haiti. She lives with her mother and father in a neighborhood of Port-au-Prince, and is their first child. She is getting ready to start preschool once her surgery is behind her. Shama has a cardiac condition called patent ductus arteriosus. A hole exists between two major blood vessels near the heart. Blood leaks through this hole, leaving her short of breath and causing heart failure. 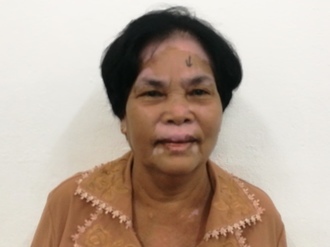 On October 7, she will undergo cardiac surgery at St. Damien Hospital, our medical partner's care center. During surgery, surgeons will tie off the hole so that blood can no longer flow through it. Another organization, Gift of Life International, is contributing $5,000 to pay for surgery. Shama's family also needs help to fund the costs of surgery prep. The $1,500 requested by our medical partner, Haiti Cardiac Alliance, covers cardiac exams and medications. Her mother says, "I am very excited that my daughter can have this surgery and become normal!" Joy is an infant from Kenya. Joy’s mother is a full-time mother, while her father is a subsistence farmer. Both Joy and her twin sister were born with spina bifida and hydrocephalus. Luckily, the National Health Insurance supported their spina bifida closure and her sister's hydrocephalus treatment. 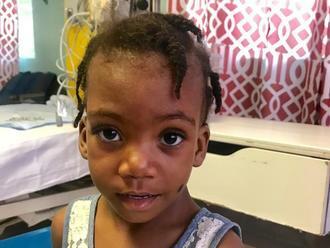 Joy has been diagnosed with hydrocephalus, a condition in which excess cerebrospinal fluid accumulates in the brain and increases intracranial pressure. As a result of her condition, Joy has been experiencing an increasing head circumference. Without treatment, Joy will experience severe physical and developmental delays. 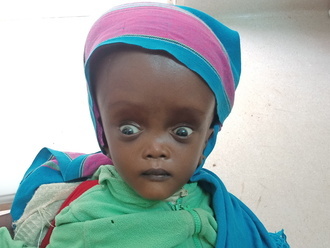 Our medical partner, African Mission Healthcare Foundation, is requesting $685 to cover the cost of surgery for Joy that will treat her hydrocephalus. The procedure is scheduled to take place on September 6 and will drain the excess fluid from Joy's brain. This will reduce intracranial pressure and greatly improve her quality of life. With proper treatment, Joy will hopefully develop into a strong, healthy young girl. “We are kindly seeking help to have Joy treated,” says Joy’s mother. Srey Mom is a student from Cambodia. She has five sisters. She likes to read and is studying accounting. She hopes to work in a bank. When she was six years old, Srey Mom had an ear infection. This infection caused the tympanic membrane, or the ear drum, in her left ear to perforate. For this reason, Srey Mom experiences recurrent infection and hearing loss. She has difficulty hearing and communicating with others at school. Srey Mom traveled to our medical partner's care center to receive treatment. On June 5, she will undergo a myringoplasty procedure in her left ear. During this procedure, surgeons will close the perforation. Our medical partner, Children's Surgical Centre, is requesting $423 to fund this procedure. This covers medications, supplies, and inpatient care. 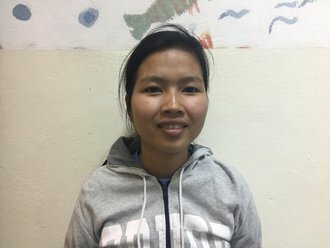 She says, "I hope my hearing improves after surgery so I can continue my school work." 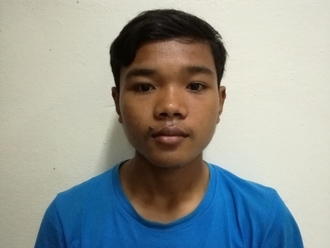 Saven is a grandmother from Cambodia. She has two daughters, four sons, and eight grandchildren. She likes to read books about Buddha. 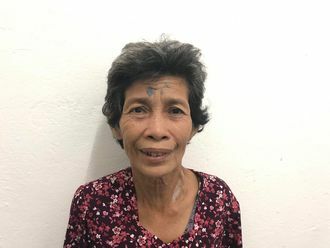 One year ago, Saven developed a cataract in each eye, causing her blurred vision, tearing, and photophobia. She has difficulty seeing things clearly, recognizing faces, and going anywhere outside. When Saven learned about our medical partner, Children's Surgical Centre, she traveled for two hours seeking treatment. On April 30, doctors will perform a phacoemulsification surgery and an intraocular lens implant in each eye. After recovery, she will be able to see clearly. Now, she needs help to fund this $398 procedure. She says, "I hope can see better so that I can recognize my grandchildren again."